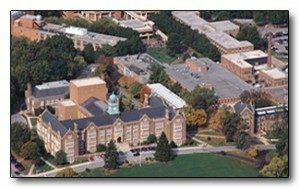 Fireline provides campus wide fire alarm and sprinkler inspection and testing services at Towson University. We have also replaced over twenty (20) fire alarm systems throughout the campus, networked all new and existing systems and designed, furnished and installed a campus wide mass notification alerting system. Towson University is projected to be the first fully sprinklered university in the United States. To date, over 90% of the campus is equipped with sprinkler systems. 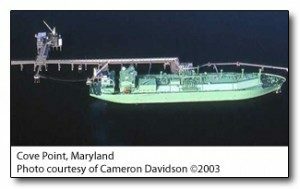 Fireline supplied special hazard suppression systems for Dominion’s Cove Point Liquefied Natural Gas (LNG) facility located on the shores of the Chesapeake Bay. Fireline also performed a complete renovation of the large dry chemical systems protecting the ship unloading docks, installed a clean agent suppression system protecting “mission critical” production controls and designed and furnished a large low pressure carbon dioxide (CO²) system protecting gas fired turbine generators. Our systems keep the energy flowing to Dominion’s customers. 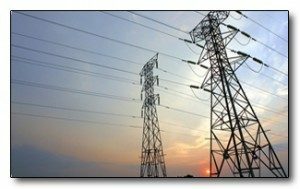 Fireline provides fire protection services for Exelon Corporation, one of the largest electric and gas utilities in the United States. We inspect, test and maintain fire alarm and suppression systems, fire hydrants, foam systems and portable fire extinguishers at over twenty (20) Exelon power generation facilities in Pennsylvania and Maryland. Fireline also renovated several low and high pressure carbon dioxide (CO²) systems protecting combustion turbine power generators. Call Fireline Corporation today at 800-553-3405 for all your Fire Protection needs.